We at Kiran Jadhav & Associates LLP take pride in imparting knowledge and know-how to our customers through training sessions organized in various cities across India. Some of your questions regarding training are answered below. If you have more questions, you are welcome to call us or email us. What makes us offer you “100% Money Back Guarantee”? We are confident on our result oriented theory and on our trainers. We have an experience of over 2 decades in Training. World class standard teaching methodology. You will also have to send us a mail on the same day evening (1st day session) from your registered email id to support@kiranjadhav.com mentioning that you want to avail Money Back Offer with reason. This "100% Money Back Guarantee" offer is valid only for the Training programme on Technical analysis. This offer can be used only by the first time attendees. This offer cannot be used by relatives of the our existing attendees even though the attendee is a first time attendee of the training programme. Your amount(less GST) will be deposited in your account within next 2 working days. Why should you learn Technical Analysis? As a trader or an investor, you would have experienced that when you buy a stock, the price goes down and the day when you sell the stock, the price starts moving up. Along with this, whenever you place a stop loss, it gets triggered and then the price goes in your desired direction. The stocks that you hold for many months or years do not yield a good return and the moment they are sold, the stock delivers outperforming returns. This adds to the confusion. To ensure that such opportunities are not lost you need to learn Technical Analysis. But learning only Technical Analysis does not help. You need to lean the Modified theory on Technical Analysis. We call this RIGHT KNOWLEDGE. The traditional theories which are being used for decades, now don’t work in this rapidly changing scenario because the market condition then are completely different to what they were and what they are today. Technical Analysis, is a vast subject and majority of its theories and parameters have been invented in the western countries markets in the era of 1940’s. If you apply those theories on Indian stock markets and that too today, then surely they are going to fail. 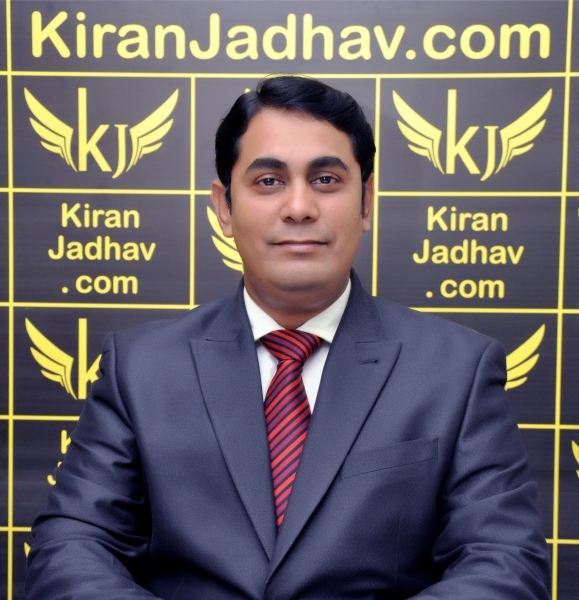 Our Chairman & MD, Mr. Kiran Jadhav, with his vast experience has "ALTERED" or "MODIFIED" these theories which suits the current stock market conditions which helps in achieving a "GOOD ROI" (Return on Investment). We have trained over 50000 investors and they are using these "MODIFIED" theories successfully. You can check our students feedback on Testimonials tab on home page. Why should you learn from Kiran Jadhav and his team? He has over 25 years of rich experience. Mr. Kiran Jadhav is instrumental in modifying the original theories of Technical Analysis to suit the current market conditions. He is pioneer in simplifying complicated theories which have been widely accepted and implemented by investors. These altered theories can be applied on Stocks, Commodities & currencies as well. The team of Trainers who are highly Credible, Experienced, Educated and have media presence who impart these modified theories to investors. He and few trainers guides investors on India’s leading business channels like CNBC Awaaz, Zee Business to name a few where his strike rate is more than 80%. Team of trainers have conducted more than 1100 workshops & trained more than 50000 individuals. Our students include people from all walks of life such as common investors, brokers, Business channel anchors and actors all of whom have benefited immensely. We offer lifetime unconditional free support to all our Technical Analysis participants. Chartered Financial Analyst & Financial Risk Manager. He is the youngest & most dynamic trainer with nevertheless very rich experience in Finance, Stock Markets & Risk Management. Karan has conducted many training programs for various Listed Companies including Fortune 500 companies. He is also a visiting faculty to many colleges in Kolkata. Karan has been instrumental in researching new available techniques from the field of data analytics and checking its success on Stock Markets. Karan has been contributing greatly to the organisation by constantly providing easy Excel based tools for quick Future & options analysis. These tools are highly used today by all our Stock market participants. Why are the seminar fees so expensive? Are two days sufficient to understand the concept? I have attended many stock market workshops elsewhere previously, but didn’t learn much. What is the guarantee that I will get to learn everything in this seminar? I am new to the market. Will I understand what is taught? We teach from basics. The workshop is designed in that way. And its good that you are new to the stock markets because you will not have any pre-conceived concept in mind and you will be like a clean slate which is better for you. You will be able to understand all concepts with more adaptive approach. Our 20+ years of teaching experience comes handy. Can I implement the theories taught on Commodities, Forex and derivatives? The Workshop Fees includes Lunch along with Tea & Coffee for both the days. Do you wish to REPEAT the workshop? If you are already a Member, then you get 30% discount in the workshop fees. If you had opted membership but not renewed, then you get 15% discount. If you have attended TA but not opted for membership till date, then no discount is given. "It was a great learning. It’s very embarrassing to accept ourselves (common investor) as a fool in stock market who keep on losing a lot money with minimal profits. However, accepting own mistake and stepping towards a successful future on basis of knowledge of technical analysis is very satisfying. I loved the way Ashish carried out the workshop with extraordinary talent of keeping people from different age group engaged in the sessions for 2 long days." "The best platform for understand how to invest in share market." "It was really worth to me. To achieve any medium term long term goal one should have financial discipline that I came across over here how to keep yourself in discipline that is must In stock market because just lack of this earlier I used to make unlimited loss and limited profit. This technical analysis training was really very helpful to me it will help me in achieving my future financial goals Smartly and peacefully." "Ahmedabad workshop was excellent experience and we learnt great knowledge." "The training session is an eye opener to all common investors, it has braked all our myths changed our thought process because we unlearn a no of things along with learning the technical analysis. You cannot believe the power of technical analysis till you not attend an awareness session from Precision Investment Services trained faculty. Must and must attend recommendation to every Investor who want to make money from stock market." "An Excellent TA workshop conducted by Precision Investments Services and Excellently delivered by Mr. Mayur. Really helpful to any individual from beginners to experienced." 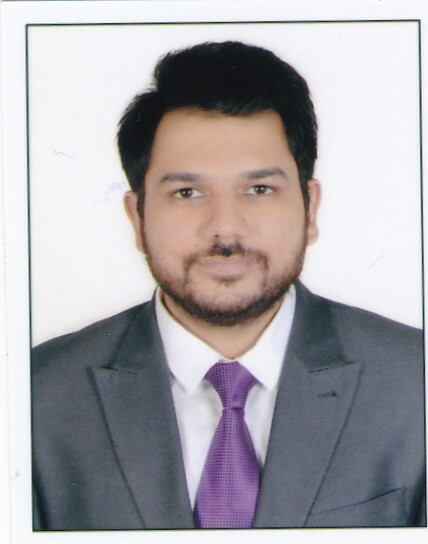 "I participated in the course at Hyderabad lot of good tools provided and I learned a lot. Thanks to Precision Investments team and its leader Mr Kiran Jadhav. It is really great. "Mahesh Malu (Investor) feedback on learning investing in stock market - Hyderabad" Wanted to start with knowledge rather than tips, gained a huge amount of knowledge which made me create passion for stock Market. It was really a wonderful seminar flooded with lot of knowledge, Confidence, discipline, energy and many more positive words can be added." "A whole hearted thanks to Kiran Jadhav Sir. I am their member and truly would like to appreciate the preciseness of their study and suggestions. I feel confident when I talk about stocks trading now. thank you"
"I was amongst the lucky ones to undergo the very 1st batch on technical analysis course one to one training from Kiran Jadhav almost 11 years back, his teaching has helped me as an equity investor as well as financial advisor and today after almost 11 years of experience in the financial service industry at various levels this helps me talk to key investors and advisors whom I meet"
"It is very best service and learn how to trade positive." "It’s like coming out of the dark and seeing the bright world ahead. Technical Analysis Course/workshop has changed my attitude towards stock exchange and I must say its awesome learning experience in recent time. Looking forward to many training and session with Precision Investment Services. Thanks Ashish Kelkar Sir and Kiran Jadhav Sir." "Technical Analysis workshop at Bangalore was an eye opener and it was the best I have attended on stock markets." "Good for retail investor in future, so follow up with strategy......."
"The most important thing I like of PIS is transparency. Whenever I meet Kiran Jadhav sir, there is a sense of honesty. Markets are risky but he guides to manage those risks and with a discipline. I highly recommend PIS to anyone who wants to begin investing in stock market." You cannot cancel your workshop booking once the registration is done. However, you can postpone your batch ONLY once. No refund will be given if you do not attend the workshop. Seminars and workshops may be cancelled or postponed due to low registration, or other unforeseen circumstances. In such an event, the registrants will be notified as soon as possible. Kiran Jadhav & Associates is not liable for any costs or charges incurred in the event. This includes charges imposed by Travel agencies, Airlines or hotels.